GET HIGHER DISCOUNTS and preferential exchange rates on $100,000+ orders. Kitco actively buys and sells popular South African Mint bullion coins like the famous Gold Krugerrand Coin. Currently Available in the US only. This product is currently unavailable for Canadian and International based customers. 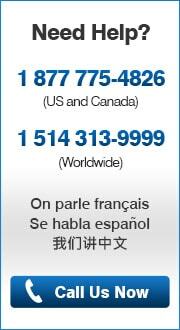 Please call our Customer Service Center at 1 877 775-4826 or 514 313-9999 for more information. Our hours of operation are Monday to Friday from 8:30 AM to 10:00PM (Eastern Time). Why buy South African Mint Bullion? The South African Mint (SA Mint) is the official mint of the Republic of South Africa. The 1 oz Krugerrand gold coin is arguably one of the world’s best gold coins given that it was the first modern widely purchased gold bullion coins. First struck in 1967, over 50 million Gold Krugerrand Coins have been minted and traded globally by gold coin dealers like Kitco Metals. The Rand Refinery in South Africa is one of the world’s largest gold refiner and precious metal smelting facilities. Started in 1920, the Rand Refinery has refined over 50,000 tonnes of gold. Thus the Rand Refinery has refined over 1.6 billion ounces of gold bullion which is about 1/4th of all the gold human beings have ever mined. The South African Mint teams with the Rand Refinery to produce various sized Gold Krugerrand bullion coins. The South African Mint’s Gold Krugerrand Coin is perhaps still the most widely owned and actively traded gold bullion coins overall. Production of this 22k 1 oz gold coin began in 1967, back when South Africas annual gold mine production averaged three-quarters (75%) of total western world gold production. The promotion of physical gold bullion was considered vital to South Africa’s gold industry. Especially in 1971, physical gold trading became more vital following the final collapse of the Bretton Woods Agreement and the shutting of the gold window or convertibility of US dollars into physical gold bullion. The vehicle selected to help drive gold demand was the 1 oz Gold Krugerrand Coin. In the 1960s the Gold Krugerrand Coin was developed by the Chamber of Mines of South Africa, the South African Reserve Bank, and the South Africa Mint. The Krugerrand was the worlds first troy ounce-denominated gold bullion coin. Although the Gold Krugerrand is legal tender in South Africa, the Gold Krugerrand was never struck with a face value. This was done to accentuate that the value of each 1 oz Gold Krugerrand Coin is directly related to the fluctuating market value of their 91.6% or 22k gold content. The first 22 carat Gold Krugerrand Coin was minted on July 3, 1967. In 1980 the fractional Gold Krugerrands (½ oz, ¼ oz and 1/10 oz) were added to the 1 oz Gold Krugerrand Coin mintage to assist smaller more affordable price per coin purchases. The Gold Krugerrand Coin was mass minted to help the man in average investors and savers more ably purchase gold bullion with confidence and ease. The Gold Krugerrand Coin is the first legal tender gold bullion coin to gain worldwide use in the modern era. More than 50 million Gold Krugerrands of all sizes (1 oz, ½ oz, ¼ oz, and 1/10 oz) have been minted. The Gold Krugerrand Coin could then and continues to be converted into any virtually any currency throughout the world. To this day, many gold investors equate gold ownership and gold investment with the famous Gold Krugerrand Coin. The year 2017 strikes the 50th year of the world famous Gold Krugerrand Coin and thus many first commemorative precious metals coins of platinum and silver will be struck in commemoration. The South African Mint (SA Mint) was started in 1892 under order of the then South African President Paul Kruger. SA Mint produces cupro nickel coinage for daily circulation as well as commemorative and bullion SA coins made with gold, silver, and platinum. The SA Mint has been jointly producing the world famous 1 oz bullion Krugerrand gold coin with the Rand Refinery since 1967. 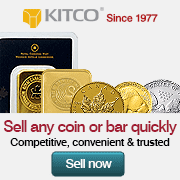 Kitco is an active buyer and seller of South African Mint Gold Krugerrand Coins and other South Africa Mint / Rand Refinery bullion coins and bars. Want more information on how to sell or buy gold? Please reach out to our first class Customer Service Representatives by email <info@kitco.com> or by calling them at 1 877 775-4826 (US and Canada) or at 1 514 313-9999 (Worldwide).